More Premium Leather and Canvas,More durable Zipper,More sturdy Hardware.Every detail deserves your confidence. 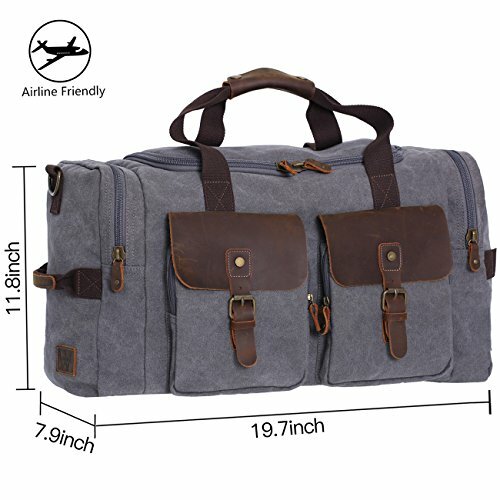 For the leather belt inside,there is a great matching storage bag (Not included,it needs separate purchase),which could be connected into this luggage,that is really convenient and makes your belongings organized. 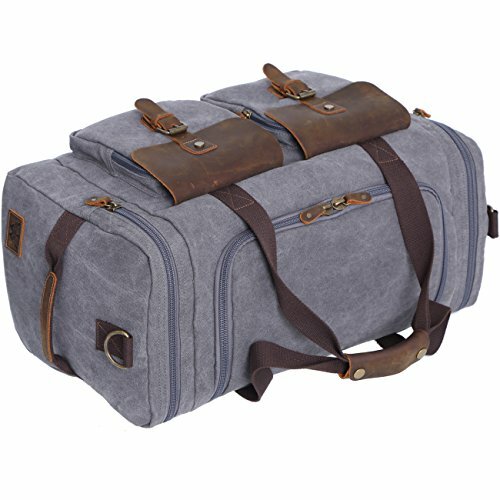 What can Duffel Bag do? on and that is easily adjusted and removable. your replaceable sport wears,your sport outfit. Note: Your satisfaction is our highly priority.If you have any question,please directly email WOWBOX customer service Team. 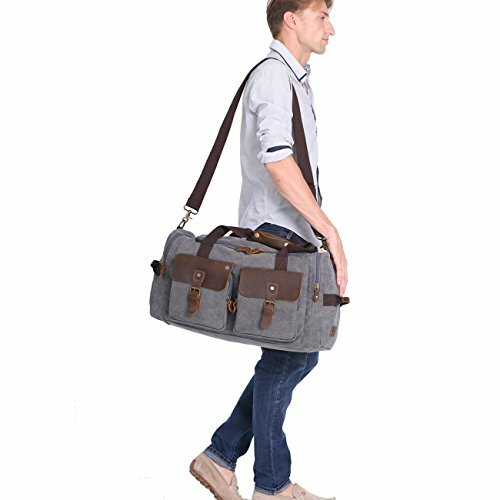 Latest Improvement:Upgraded Wowbox Duffle Bag has an exclusive shoe compartment from the side zipped pocket, the better to separate the shoes from your personal hygiene belongings.Premium Warranty:It comes with a 6-month hassle-free guarantee against defects in workmanship or breakage in normal use. If you have any such issue, please email us directly. 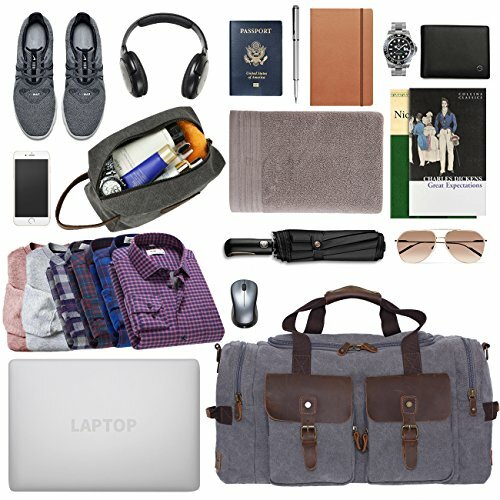 It is practical for use as a Weekender Bag / Oversize Travel Bag / Military Duffle Bag / Gym Bag / Shoulder Handbag / Carry-on Luggage. 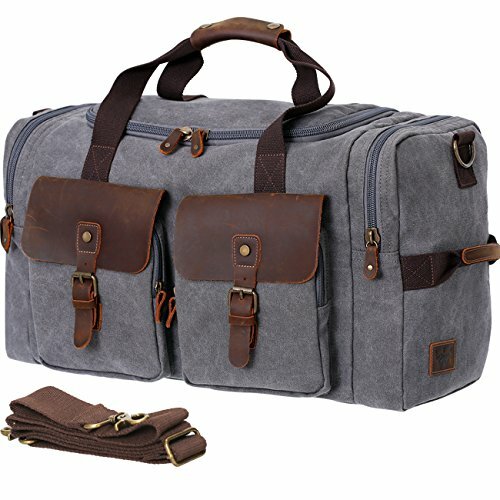 Premium Material: The sturdy thick canvas, genuine top cowhide leather, and strong metal hardware make this a great travel bag. Note: The cowhide leather will show scratches, which add character to the bag. For real leather, the more you use it, the more polished it becomes. Outer Pockets: The front zipped pockets can be opened and closed by magnetic poppers and zippers, which secure your belongings safely and well. The rear zipped pocket can store your most handy stuff for quick access. 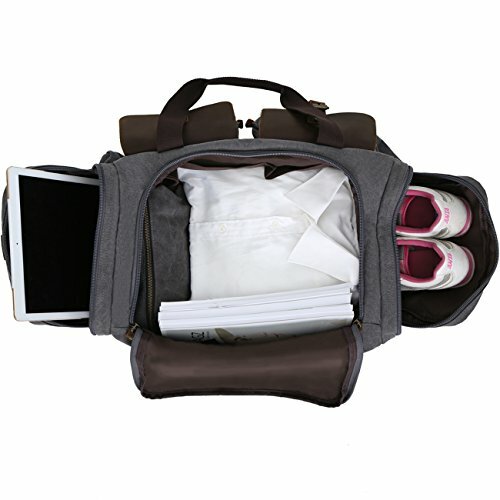 Main Compartment: This roomy compartment has a large capacity, holding up to 16.7 x 9.8 x 11.8 ines., or 42.5 x 25 x 30 cm. 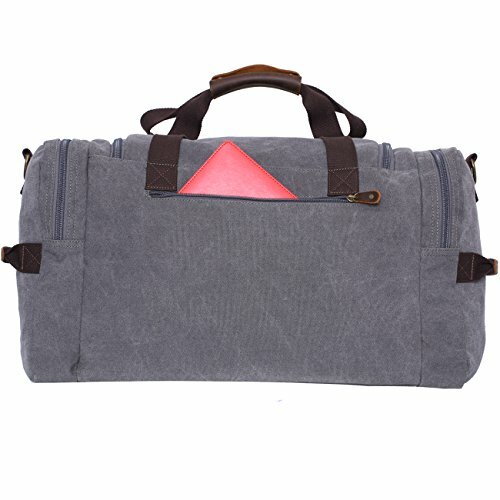 Its overal dimension of the duffel bag is 21.7 x 9.8 x 11.8 inches or 55 x 25 x 30 cm. It also features sturdy wall pockets. There is a leather belt inside connecting the keychain/storage bag that easily fastens with a pin buckle, which keeps your belongings well organized. Strap Details: 1.) 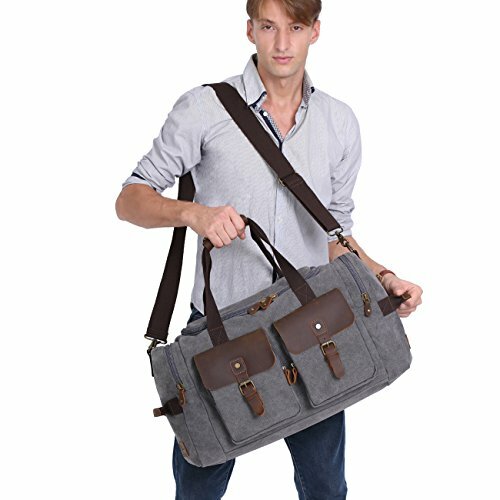 The Top Handle Strap is made of thick canvas attached with leather, making it comfortable to carry. 2.) The Two Side Straps are useful when the contents are too heavy and need two people to carry together. 3.) The Detachable Shoulder Strap can be adjusted and locked to whatever length needed for carrying over the shoulder to alleviate the weight and then released freely for storing as luggage.